Darren spent six years in sales and field sales before joining Austin Benn in 1998. In his first year Darren was the highest performing consultant achieving £256K, a record for a single consultant at the time. Rising from Senior Consultant to Operations Manager of the commercial sector Darren left Austin Benn in 2001 to join PSD, a leading city recruiter. Darren returned to Austin Benn in 2003 for 3 years and balanced being one of the highest performing consultants together with managing the Austin Benn team in Luton. Darren left Austin Benn in 2006 to join First People Solutions (FPS), one of the UK's fastest growing independent recruitment consultancies. Finally in October 2007 having convinced their wives, Darren and Rob set up Aaron Wallis and have never looked back!! With a natural leadership style Darren leads from the front and is capable of both leading the sales function and personally billing. 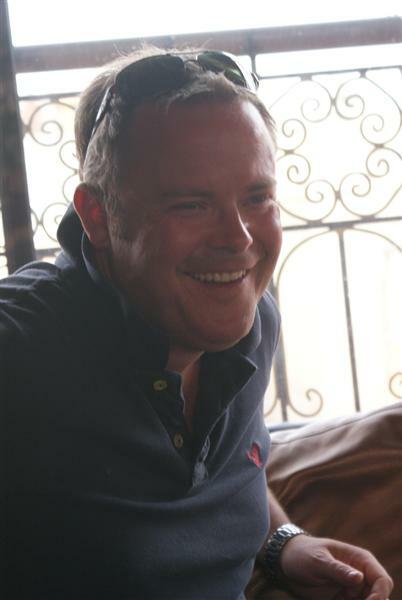 Darren is married with two children and lives in Flitwick, Bedfordshire. When not at work Darren spends his time coaching kids football but most of all, fishing. Describe your role in one sentence? Director, reporting into the finance director - Joanna Dewrance! 1. Why would a client want to work with you? I'm honest and don't like letting people down. 2. What would you do, as a career, if you weren’t working in recruitment? Having worked in recruitment for ever I don't think I'd be much good at anything else! 3. What do you have a knack for (better than everyone else)? 4. What are the characteristics and skills you have that you believe are particularly suited to what you do? Honesty and the ability to think on your feet! 6. Three things you’d never guess about me? 7. Best movie you have ever seen (the film you’d happily watch time and time again)? 8. What is the mantra, motivational quote or poem that inspires you? There’s only one Arsene Wenger! 9. What would you like to have on your gravestone? 10. What are your 3 ‘Desert Island’ songs? 11. What one day in your life would you like to live over again? 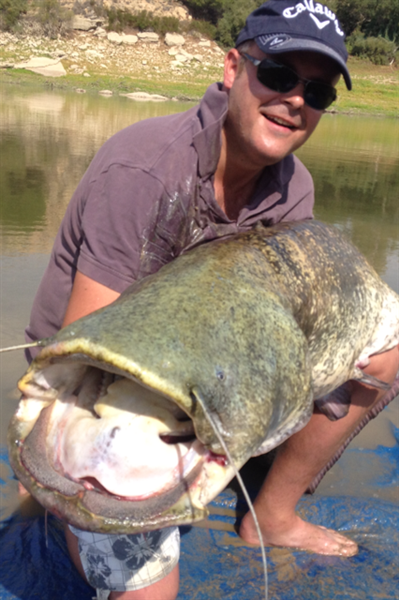 Most will answer wedding day, birth of first child but for me........187lb catfish landed in Spain! 12. Name two things you consider yourself to be very good at? 13. Who is the person you respect the most, and why? My wife for putting up with me since 1992! 14. If your house was on fire and you could grab only 3 material possessions before leaving, what would they be? 15. What is the temptation that you wish you could resist? 16. Your ultimate ambition outside of work? 17. When you think of ‘retirement’ what image does it conjure up?